Because trees may only grow within narrowly-defined temperature ranges and elevations above sea level, perhaps the most reliable means of assessing the air temperatures of past climates is to collect ancient treeline evidence. In a new paper, Kullman (2018) found tree remnants at mountain sites 600 to 700 meters higher than where the modern treeline ends, strongly implying Early Holocene air temperatures in northern Sweden were 3-4°C warmer than recent decades. 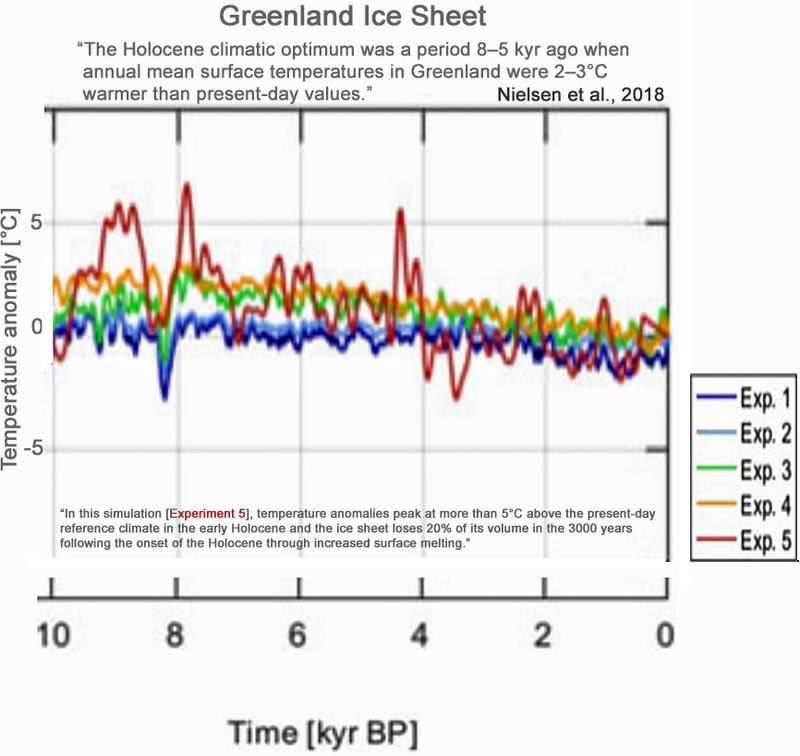 “Greenland ice sheet some 2-5C warmer” a few thousand years ago. 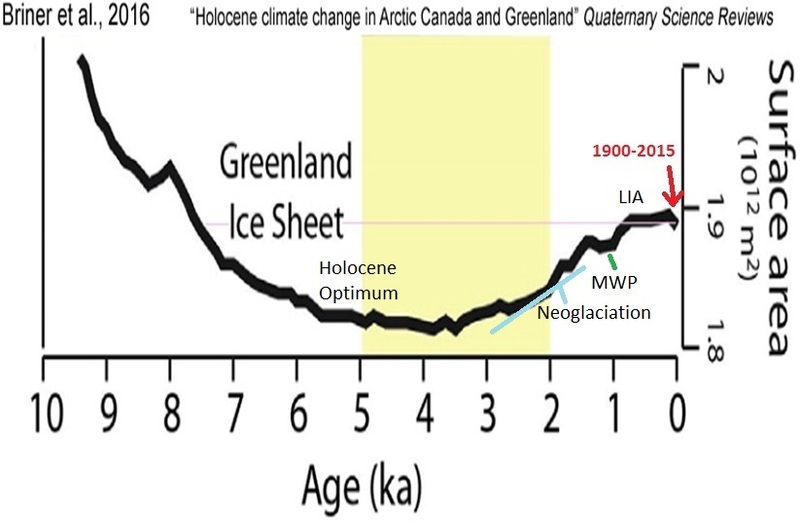 In fact this period, before the climastrologists’ revisionism, was called the “Holocene Optimum”. 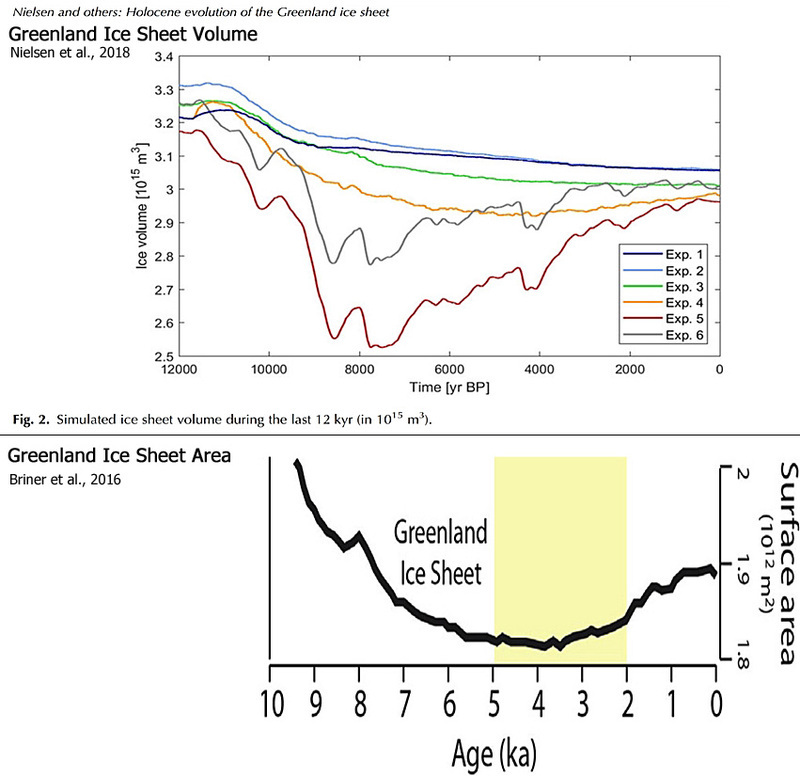 The period from 3k before present leading down to the LIA wasn’t called NEOGLACIATION for nothing. A couple of bumps on the way down, at the RWP and MWP, leading to the coldest period in 10,000 years. We are VERY fortunate to be a small bump above that coldest of periods, but we are still very much in a cold period of the current interglacial. Why anyone complains about this NATURAL warming, is beyond me.. It is sheer idiocy to think that if human emissions have actually aided that slight recovery from the LIA, (which I see no evidence for), we should actually do anything about trying to slow that warming !! Yep, seems to be ok now. Only the little black cross when I tried to view it when getting the link. They have had server issues before.. regularly ! Kind of puts all the fuss they’re making into perspective, and exposes them for the charlatans they are. Basically, all this warming whoo-haa comes down to one thing. Not only have they tried to DENY climate history..
.. they have actually tried to ERASE it. Seems to be providing a lot of other images irrelevant to me. Good old Scots Pine shows us the way through the dross, and towards the reality of what happened. Perhaps a virtual upside down Yamal tree, reconstructed from native legends and homogenizations based on surrounding trees (some themselves virtual) – you know, like they do with “record” temps in remote regions that have never seen a thermometer? 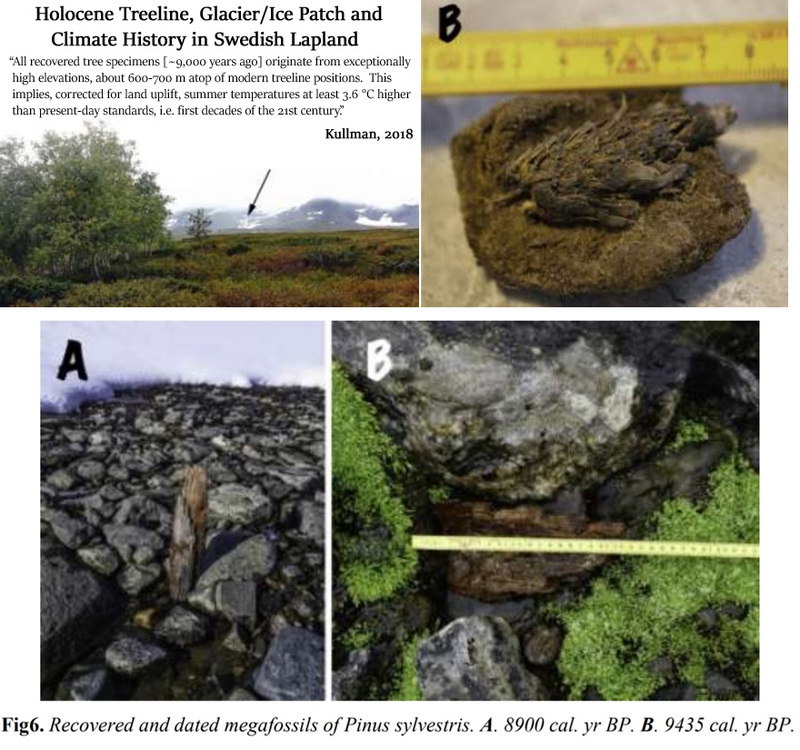 And the MWP contains similar evidence, including not only peer-reviewed studies, but also the plain old fact that the Mendenhall Glacier, during its recent recession, uncovered a 1,000 year old forest. No trees have grown at that latitude anywhere near that site. Please note that the Kullman paper states that the treeline was 600-700 m higher than in the present , not 600-700 m North. That is equivalent to many kilometres North.